“The Voice” is one week away from crowning its champion. NBC’s top-rated singing competition kicked into semi-finals mode Tuesday with eight would-be pop stars hoping their latest live performance would edge them closer to the show’s $100,000 grand prize and record deal. Only four will advance past Wednesday’s results show to the finals. Two members from Team Christina and from Team Blake advanced to the semis last week. On Tuesday, host Carson Daly kicked off the show by revealing which four artists from Team Cee Lo and Team Adam were still alive in the competition. 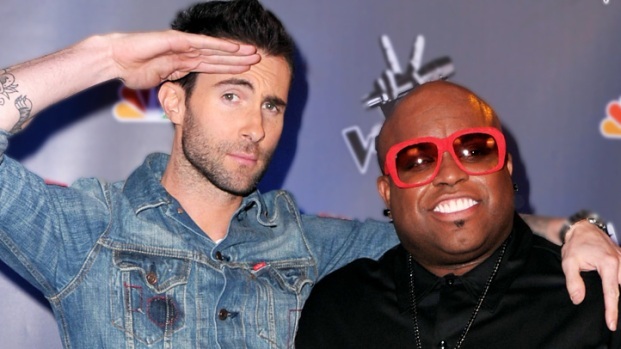 More singers depart "The Voice," leaving just four contestants for next week's finals. The NBC reality show has been a ratings hit for the network. Team Adam was up next and the celebrity coach said he'd spare Casey Weston despite the singer’s “stubborn” streak. The decision came after America had voted to save soulful crooner Javier Colon. After dispensing with the results, the show then transitioned to a new round of live performances. 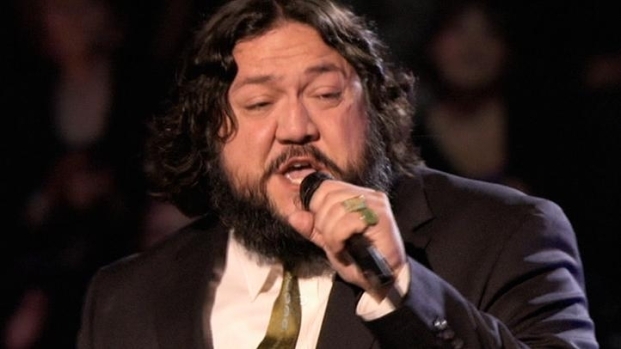 Nakia chats with PopcornBiz about life on Team Cee Lo and which contestants inspire him. No matter. The celebrity judge had nothing but praise for Frenchie's rendition. "The Voice" contestant Vicci Martinez chats with PopcornBiz about life on "Team Cee Lo." Dia Frampton, who won over judges earlier this season with a haunting piano performance of Kanye West’s “Heartless,” took the stage next with a guitar in hand. Adam praised the singer for again taking a risk by choosing REM’s “Losing My Religion.” Christina said that, to her, Dia had shown the most growth of all the contestants this season. Blake then talked up the singer for putting her “heart and soul” out on the stage. Casey Weston followed up Dia’s performance by singing “I Will Always Love You.” Before the gig, Adam had told Casey he wanted her to interpret the tune somewhere between Dolly Parton and Whitney Houston’s versions. Adam Levine chats about "The Voice" and how a star singer is born on TV - and why it's so difficult to do. The new season premieres September 10 at 8/7c on NBC. Team Christina was up next, and the pop star had Beverly McClellan sing B.B. King’s “The Thrill is Gone” – to show her softer side. But that didn’t mean the performance was muted. Javier Colon took the stage next to sing “Fix You” by Coldplay. For the first time in the competition, he removed his signature cap to reveal Frenchie and Beverly aren't the only ones left on the show with shaved heads. Adam agreed Javier was the “real deal” and said that his was one of the best voices he’d ever heard in or outside the competition. Xenia went next and sang "The Man Who Can't Be Moved" by The Script. Adam said afterward that while he enjoyed Xenia’s unique voice the tune was a little too “sleepy.” Christina called Xenia one of her favorites and said she was “baffled” by the shy 16-year-old's on-stage maturity. Xenia scored the strongest praise, though, from Blake. The country star said he anticipated one day hearing her voice on the radio while driving. “Im glad that I knew you when,” he told his protégé. Despite the earlier accolades, the coaches reserved their strongest show of support for Vicci Martinez, who closed out Tuesday’s “Voice” with a percussion heavy version of “Dog Days are Over” by Florence and the Machine. After the faux-hawked singer rocked the stage, Adam said it was the “coolest” performance of the night. Cee Lo added that that he was on the edge of his seat throughout her show. On Wednesday, "The Voice" will reveal which performer from each of the four teams will advance to the finals and who’ll be cut. The decision is based on viewer votes combined with celebrity coach scores.